Makar Sankranti is considered as an auspicious festival by the Hindus and is celebrated in every part of the country in innumerable forms, gaiety, and devotion. This festival is marked when the sun moves from the Tropic of Cancer to the Tropic of Capricorn i.e. from Dakshinayana to Uttarayana and is observed as the beginning of the harvest season. Makar Sankranti is actually a harvest festival. This festival completely depends on the position of the sun unlike the other festivals in the hindu calendar which depend on the position of the moon. Hence by default Makar Sankranti falls around the same time of the year i.e. Mid January. During this time of the year the earth moves from one zodiac sign into the other which is known as “Sankranti” and because the sun moves into the Capricorn zodiac Sign known as “Makar” this festival is known as “Makar Sankranti”. The festival of Makar Sankranti is considered as a beginning of a positive phase which is believed to be the ‘Holy Phase of Transition’. On this auspicious day Lord Surya is worshipped in all parts of the country with distinct names and rituals. People in the North India take a dip at “Sangam” i.e. the confluence of River Yamuna, Saraswati and Ganga and believe that this will cleanse all the sins and will lead to Salvation. In Assam people call this festival as “Bhogali Bihu”. In parts of Himachal Pradesh and Haryana it is celebrated as “Lohri”. Sankranti is a major festival in South India especially in Tamil Nadu where people have grand celebrations for three days and call it as “Pongal”. People cook rice in an earthen pot in the open air near the fields and happily say “Pongolo Pongal”. They ask Lord Surya to bless them with good harvest in the coming year too. In Maharashtra on this occasion people exchange ‘tilgul’ a sweet made of sesame seeds and say ‘tilgul ghya god god bola’ which means speak sweetly always. In Kerala, the “Makaravilakku’ which is considered to be very holy is witnessed by large number of devotees as it is seen only on this particular day. 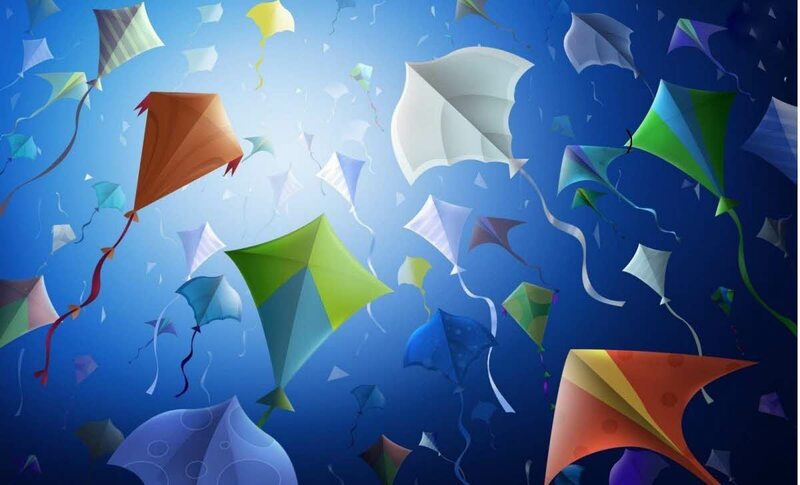 In Gujrat and Rajasthan, it is known as Uttarayan and people celebrate it by organizing a kite flying event. “Makar Sankranti” is considered as the time of the Devas and is believed to last for six months. This period is considered to be ideal for all kinds of auspicious events like marriage, new business ventures, building a new house etc. On this auspicious occasion married women offer new vessels, clothing, food, sesame seeds and jaggery. They also organize a ceremony oh ‘Haldi Kumkum’ and give gift articles to other married women along with sweets. The significance of performing “Haldi Kumkum” i.e. applying turmeric and saffron to married women on Sankranti is to invoke the positive energy of the hidden “Adi Shakt’ in the Universe for the benefit of the society. Hence though celebrated diversely all over the country the underlying intention of celebrating “Makar Sankranti” remains the same.